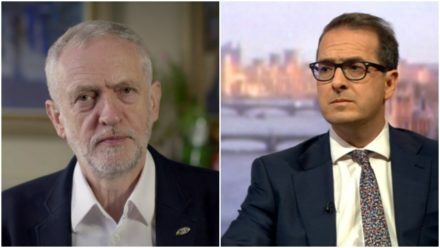 Members will see Jeremy Corbyn and Owen Smith go up against each other in the first leadership hustings on Thursday 4 August. Iain McNicol, Labour general-secretary, confirmed Corbyn and Smith will be grilled on their policy positions at the evening event. Members can submit questions to be discussed in front of an audience in Cardiff. The event is the first of a series debates between the contenders, each of which will be streamed online for members to watch. There will also be events in England and Scotland with hustings televised on the BBC, Sky, ITV and Channel 4. McNicol said the events would give members the chance to choose who would be Labour’s next Prime Minister, saying the country needs a Labour Government to stand up for Britain. “Labour members and supporters will now select a candidate for Prime Minister who can offer the change working people and Britain needs. We need a Labour government again to stand up for Britain and what we believe in: building a strong economy, defending our NHS and our public services, and fighting for fairness, equality and social justice. Owen Smith has previously called for more hustings in order to increase democracy in the party. He wrote to McNicol to call for the party to organise one in every region of the country, saying those unable to attend a hustings could be disenfranchised from the election.